Governor Andrew M. Cuomo today urged New Yorkers to prepare for heavy snow, ice and high winds as a complex winter storm system is expected to impact New York beginning early Tuesday morning through Wednesday. The storm will move through the state from the south bringing snow that will mix with—or change to—freezing rain and sleet as the day progresses. The system is expected to produce anywhere from a couple of inches of snow and sleet in the southern regions of the state to up to 24 inches of precipitation in the North Country. During these storms, New Yorkers should also expect to see slippery road conditions, as well as blowing and drifting snow during the Tuesday evening and Wednesday morning commutes. Drivers are being urged to practice extreme caution while traveling. "As we prepare for another statewide winter storm, I am urging New Yorkers to be ready for dangerous driving conditions and stay clear of snow plows and other response vehicles," Governor Cuomo said. "We are actively monitoring the storm and are prepared to deploy assets as needed to ensure New York's roadways are kept as clear and safe as possible." The snow will start early Tuesday morning in the Western New York and Finger Lakes regions, and move east throughout the day, with snowfall rates of one inch per hour expected at the height of the event. Ice pellets are expected to develop and impact the Southern Tier, as well as parts of the Mohawk Valley and Capital Region in the afternoon mixing with freezing rain expected later in the evening and through the night. Moving north from the I-90 corridor, snow fall will increase and reach up to 24 inches in the Tug Hill Plateau portion of the North Country. In addition to the snow and ice, winds have the potential to pick up to 35 mph along the coast and 25 mph for inland locations, leading to blowing and drifting snowfall at times. Snowfall totals are expected to reach one to four inches in New York City and Long Island; four to seven inches in the Mid-Hudson Valley, Western New York and Finger Lakes regions; eight to 12 inches in the Capital Region, Mohawk Valley, Central New York and Southern Tier; and up to 24 inches in the North Country. In addition to the snow, some areas could also experience up to a quarter inch of ice by the time the storm ends. New Yorkers should pay close attention to local weather reports for the latest information. 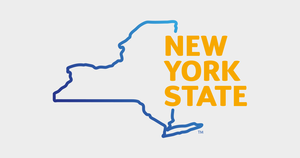 Several Winter Weather Advisories, Watches and Warnings have already been issued by the National Weather Service and New Yorkers are encouraged to stay informed throughout the duration of the storm. For a complete listing of weather watches, warnings, advisories and latest forecasts, visit the National Weather Service website.